Our story begins with the birth of a daughter to Samuel and Elizabeth Haywood, on 20 July 1773 in Stepney, of the Parish of St Mary White Chapel, whom they named Elizabeth. 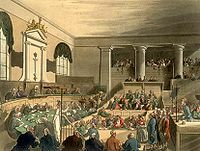 On Wednesday 10 January 1787, Elizabeth Haywood/Heywood/Hayward, aged 13 years, was tried by the second Middlesex Jury before Mr Recorder at Justice Hall in the Old Bailey. Her occupation at the time was a clog maker, and she was apprenticed to a Mr Thomas Cross. A month previous, on 19 December 1786, Elizabeth had stolen from her employer a linen gown, value 4s, a silk bonnet value 2s, and a bath cloth cloak, value 1s. These goods she then pawned to a person, named Sarah Phillips, otherwise known as Constant. Elizabeth was found guilty and sentenced to transportation for 7 years. Sarah Phillips was found not guilty, but Elizabeth was sent to Newgate Prison to await transportation to Botany Bay. When the First Fleet sailed, Elizabeth was aboard the Lady Penrhyn and thus became the youngest female convict on the First Fleet. It was reported that the Alexander and Lady Penrhyn had the worst conditions, the Alexander having its convicts on board for more than two months before sailing date. The Lady Penrhyn had been loaded with convicts from the hulks on the Thames, and also from Newgate Prison. This ship was supposed to take only seventy, but had more than hundred on board, many of who were grossly undernourished, and a great number of women who were supposedly suffering from venereal disease. The clothes for the women had been left behind and the Lady Penrhyn is said to have sailed very badly, nevertheless apart from finding Elizabeth listed in the diary of the First Fleet Surgeon I have not found any other record of her during the voyage out. On the 26 January 1788 the fleet arrived in Sydney Cove, and on the evening of 6 February the convict women were landed. It was a suffocatingly hot night and a violent electrical storm hit the Cove. It was said that London at its seamiest had arrived in Botany Bay, and the surgeon Arthur Smyth was to describe it as a Scene of Debauchery and Riot. Elizabeth was assigned to Mary Johnson, wife of the chaplain the Reverend Richard Johnson, and was a servant in her household until some months later when on Monday 9 February 1789 her name is listed in The Supreme Court documents along with five other convicts who were apparently dealt with by the Judge Advocate. Elizabeth Haywood was ordered 30 lashes for insolence to Mr Johnson. It is difficult to ascertain exactly what insolence meant in 1789, but we can be reassured that whatever Elizabeth did she certainly would have affected the dignity of the Reverend Richard Johnson. It was apparently for her insolence charge that Elizabeth was aboard the ill fated HMS Sirius in March 1790 when it was shipwrecked in dangerous surf off Norfolk Island. However, like many others she survives yet another trauma, and four years later, on the 2 March 1794, a daughter was born to her, and is also given the name Elizabeth. The father of this child is believed to be William Nicholls, who was transported for 7 years and arrived aboard the convict vessel Royal Admiral. William Nicholls went to Norfolk Island in December 1792 in the American trader Philadelphia. Elizabeth Haywood had another child born 21 November 1795, but obviously died, as no other record of this baby has been found. A daughter Margaret was born in 1796, and we presume that William Nicholls was the father, although he disappears from Norfolk Island records in that year (1796). A son George was born in 1802 but it is not certain who the father of this child was, as in later years George acquired the surname of Collins. It is more than probable the father was the convict George Collins, who arrived on the Island in 1801 and died 2 March 1803. Captain Piper’s Settlers and Landholders return of 1810 show Elizabeth Haywood as a time expired convict and her eldest daughter Elizabeth Nicholls as a freewoman owning 10 sheep and a cow. Elizabeth Nicholls is by now the youthful mistress of Captain Piper and bears him a son who is given the name Norfolk. The returns of August 1812 show that Elizabeth Nicholls was the only woman holding stock, which consisted of 525 sheep, 4 cattle, 15 swine and 40 goats. It is of some interest to mention the change of leadership under Captain Piper, after the horrendous rule of Major Foveaux. The reign of Captain Piper as Commandant at Norfolk Island from September 1804 to April 1810, was the happiest period in the island’s history. In May 1792 a total of 111 settlers occupied 4,130 acres, and by 1805 the population was 712. Elizabeth Haywood also lived with Joseph Lowe, who was often referred to as James, and when leaving Norfolk Island was listed along with him and her two children, Margaret and George. Joseph Lowe was tried at Warwickshire on 19 July 1788 and received his sentence, arriving on the Matilda in the Third Fleet. His occupation prior to his sentence was that of a ribbon weaver, but on Norfolk Island his duties seem to have been varied, as at times he is listed as a member of the boat crew, and also as a Taylor (listed spelling). Joseph Lowe received a free pardon on 17 September 1810. 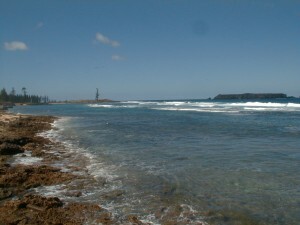 In 1811 Governor Macquarie toured Van Diemen’s Land, and decided that Norfolk Plains, south of Port Dalrymple would be where the remainder of the Norfolk Islanders would relocate. He later said it was in a beautiful rich Tract of Country, situated within about 8 miles of Launceston on the Banks of a fine fresh Water River called the South Esk. 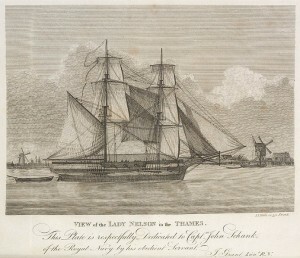 The final evacuation of Norfolk Island took place in 1813 with the Lady Nelson departing on 20 January with 45 people, their destination being Port Dalrymple. 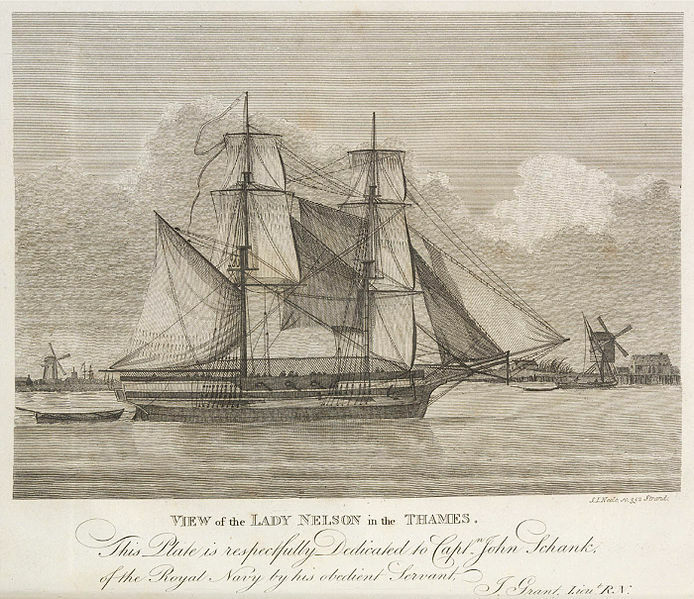 Among the passengers on the Lady Nelson were Elizabeth Haywood, Joseph Lowe and two children, Margaret Haywood/Lowe 17 years and George Haywood/Lowe 11 years. The Lowe family were classed as 2nd Class passengers for their removal to Van Diemen’s Land; this meaning: To consist of persons formerly convicts, who have conducted themselves onto property or who have large families or from other causes may have claims to particular attention. Land grants and building compensation as for 1st Class. To be victualled and clothed for 2 years, with 2 convict labourers for two years. The ship Minstrel departed from Norfolk Island on 18 February 1813 also destined for Port Dalrymple and had 63 people on board including Elizabeth Nicholls and her child Norfolk Nicholls/Piper, 3 years old. Elizabeth Nicholls was compensated with sixteen pounds as the price for her dwelling place on Norfolk Island. On 20 September 1813, Joseph Lowe, with Grant No 961, received 40 acres at Norfolk Plains. The Annual Quit Rent was 1s, and was to commence on 20 September 1818. Listed on the Landholders Muster 1820, Port Dalrymple, Cornwall VDL, we find that Joseph Lowe with wife, has 40 acres of pasture, horses and cattle, 12 cattle (male), 10 cattle (female) 200 sheep (male) 400 sheep (female). Prop and wife not victualled. Today this section of land looks very prosperous, but on the arrival of the settlers it was of course virgin bush and many natural disasters occurred, not the least of which was flooding, animals (including snakes) and wheat being struck with disease, continual cropping due to their lack of knowledge, raiding by aborigines and sheep stealing, which it has been said was responsible for about 25% loss of all stock. There are many stories written about these early settlers, how some became very discontent, and even idle and the suggestion that in some cases land passed hands for small sums in return for liquor. Whatever the stories, some descendants of early families have remained in the area. On the original grant, the occupier of the North of Joseph Lowe was Clayton, and on the Land Commissioners Map 1826-1828, Clayton is the occupier of what was Joseph Lowe’s land. It is interesting to note that in 1816, Joseph Lowe committed himself to supply 1,100 pounds of fresh meat to the Government stores at Port Dalrymple, and in 1814 had acquired a small allotment in Wellington Street Launceston. It contained 1 acre 1 rood and after the death of his wife Elizabeth (Haywood) he sold this land to his son-in-law David Gibson of Pleasant Banks for 350 pounds in 1840. Cart License registrations were recorded in Hobart Town in 1819 and in Launceston in 1826, and so in that year of 1826 Joseph Lowe is registered as owning a pole cart. Perhaps it is not surprising that on the Departures Index I found a Joseph Low (sic) left Hobart Town for Sydney on the ship Campbell Macquarie on 4 March 1821 his status being Chief Officer. Another reference was a departure on the same ship from Hobart Town for Port Jackson on 15 June 1821, also as Chief Officer. Given his previous occupation on Norfolk Island it is possibly the same man and it would suggest that they have moved, most likely to Launceston. Elizabeth (Haywood) Lowe was buried on 29 October 1836 in the Church of England Cemetery in Cypress Street Launceston. The officiating clergyman was Chaplain Browne of St Johns’ Parish Launceston, in the County of Cornwall. In the early 1950s the Cypress Street Cemetery (burial site of First Fleeters William Blackall, Olivia Gascoigne, Thomas Sparks and Elizabeth Hayward) was levelled for Broadland House School’s Playing Field, and is now called Broadland Park. (Broadland House was a Church of England school, now part of Launceston Church Grammar School). A Joseph Lowe, Tailor, died at Launceston aged 82 on 4 September 1853. His death notice states he was one of the earliest residents of Launceston, hence it is assumed he was the husband of Elizabeth Hayward. Elizabeth Nicholls had a son Norfolk Piper (died 18 years old) and a daughter Eliza to Lieutenant Hugh Holmes before entering into a lasting relationship with David Gibson. They had ten children and lived for over fifty years in the mansion ‘Pleasant Banks’ in the historic town of Evandale, Tasmania. On the same day as Elizabeth and David Gibson were married, her children Norfolk and Eliza were baptised. Margaret Nicholls married Thomas Giles Hayes and had 2 daughters. Elizabeth Mary Hayes married Henry Glover, son of the noted artist John Glover and Sarah. George, using the surname Collins, married Mary Ann Sydes at George Town. They had ten children together. 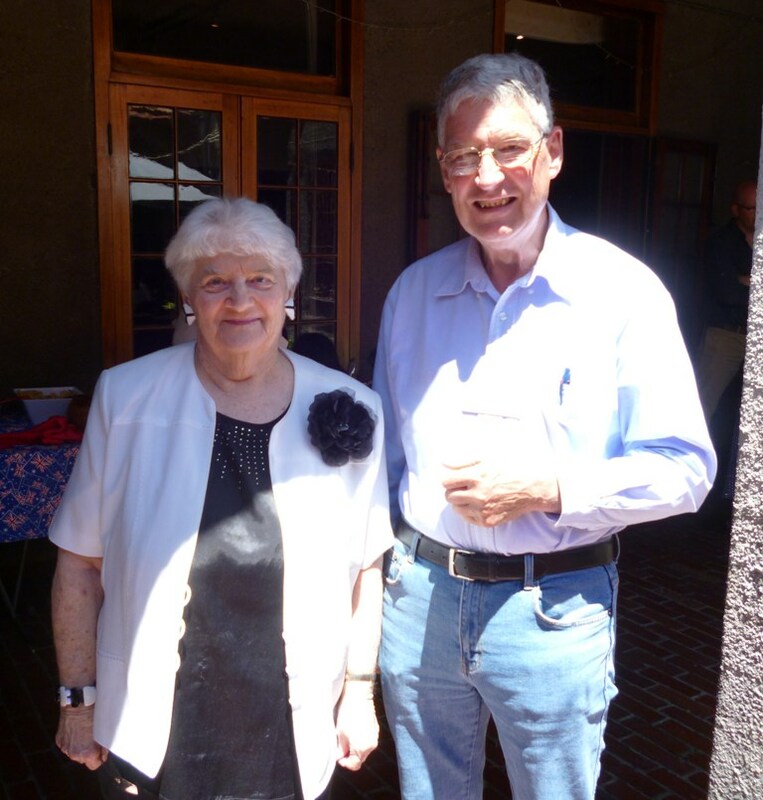 Verna used numerous references when compiling a more comprehensive history on Elizabeth Haywardd and her family, sourced through publications, newspaper articles, Archive Offices and State Libraries.